Wish the whole family a Merry Christmas this year with these cards Santa-themed cards. 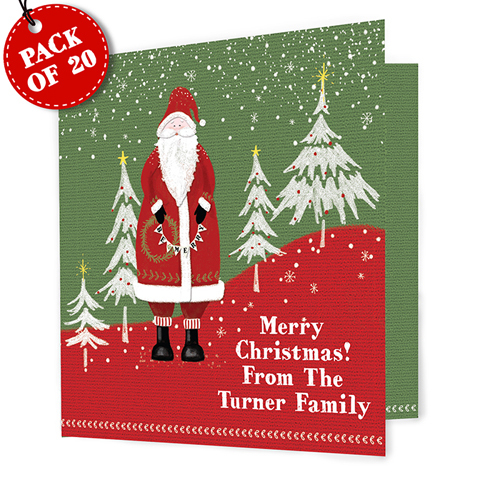 Great for families and couples this Santa pack of 20 Cards can be personalised on the front with up to 4 lines of 15 characters each. All personalisation is case sensitive and will appear as entered.